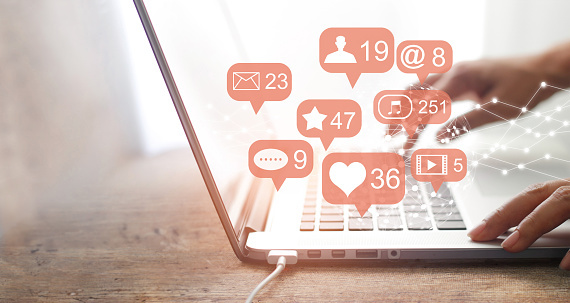 Social media background checks have been part of pre-employment screening for several years but are often seen as a way to scope out some of the more unsavoury elements of a candidate’s background and personality, through platforms on which users share every tiny detail of their lives. But what if social media checks could be used to make a candidate’s application stronger rather than rule them out? Carrying out social media checks are legal if you have the explicit permission from the candidate, and as long as the checks are carried out responsibly and the results used carefully. Using social media checking to discriminate against any candidate is illegal but using it as a tool for character referencing could be helpful if you are looking for information to back up a candidate’s application. Social media accounts are a useful marker for the kind of person we are, and many of us use social media to tout our views on everything from politics to what we had for dinner. After receiving the necessary permission, potential employers can use a social media check to evaluate the candidate’s suitability for a position. A responsible screening provider will be able to do this without inadvertently being swayed by something which could be considered discriminatory or unfair. Background checking is now an expected and accepted part of the hiring process, with most companies screening applicants as part of their procedures, and candidates are used to this. But social media screening can also provide useful insights into the kind of person you are thinking about hiring, by backing up their physical references, experience and history. LinkedIn is particularly helpful in job search; past employers will often post references or testimonials about their personal experience with users. While a job application might only have a requirement for one or two references, having access to more references online does give potential employers additional information which they might otherwise not have heard, and can be used to support information that a candidate has already provided as part of their application. The use of social media screening in pre-employment background checks will continue to grow as our digital selves become even more intertwined with our physical selves. Legislation will also change to ensure that candidates are protected against discrimination. As it stands, social media screening should be seen as a positive and proactive tool to help candidates and potential employers find their perfect match. Newer PostWhere is your candidate data being stored? Older PostIllegal immigrants in UK workforces, what’s the consequences?